Last weekend saw Capcom open up a special beta for Street Fighter V which, in addition to giving the community a chance to try the game’s improved online modes, provided a preview for the next downloadable character. Ed, a rapidly aging M. Bison clone saved by Balrog during the story of Street Fighter IV, shocked fans due to his rather simplistic attack inputs, and players were eager to get their hands on the newcomer during the brief beta window. Ed’s gameplay combines the boxing skills taught to him by Balrog and the Psycho Power that forms the crux of M. Bison’s strength. As such, his toolset is a mixed bag; he’s capable of taking the fight to opponents with a strong ground game, but can also keep them airborne with copious juggles. From what we’ve seen thus far, Ed is an incredibly mobile fighter that doesn’t impose any intense execution requirements. His inputs are simpler than those of other fighters in the game’s roster and consist of numerous one- and two-button specials. While it typically takes months of competition for the community to figure out a new character, early impressions can sometimes build a foundation for future progression and even help the developers make changes before an official release. 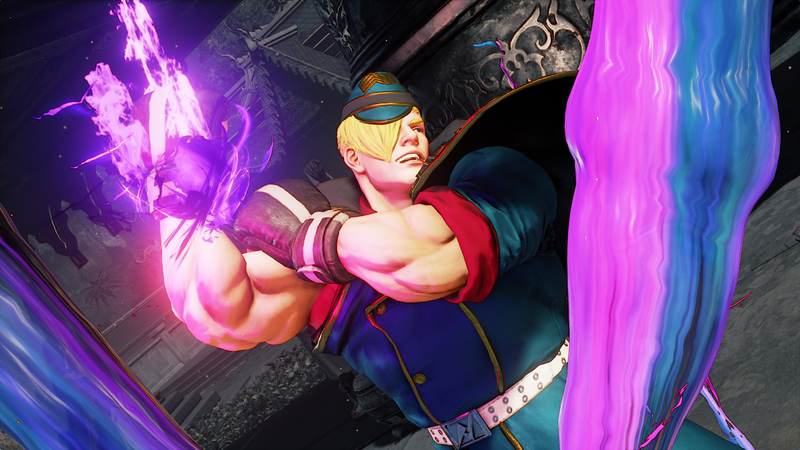 Street Fighter V’s servers were inundated with players looking to learn what makes Ed tick, and we’ve collected some of the more pertinent information from the competitors who studied him over the weekend. As is often the case, opinions on Ed’s skillset varied widely. Some, like longtime competitor Ryan “fubarduck” Harvey, weren’t impressed. “I think he’s a contender for worst character in the game if they release him as-is. Hope I’m wrong!” he shared on Twitter, compiling a list of details that he believes makes the young fighter weak. Samad “Damascus” Abdessadki, a French competitor, disagreed, providing his own list of traits that he feels reflect positively on Ed’s place in the game. Issues did arise during the beta test that may be fixed for Ed’s final release. Some players, including Eduardo “PR Balrog” Perez, Javits Arias, and Spab Rog, had trouble connecting some of the boxer’s combos at specific ranges. They also had a hard time “pianoing” (an input method that involves rolling your fingers across the arcade buttons like a piano to make attacks like Chun-Li’s lightning legs much more reliable) his Psycho Flicker special due to input overlap with other moves. Kevin “Dieminion” Landon, the east coast player who famously took down Du “NuckleDu” Dang at this weekend’s Compete event, mentioned that Ed’s moveset reminds him of a completely different game: Ultimate Marvel vs. Capcom 3 and its Simple Mode controls. As we mentioned in our preview for Marvel vs. Capcom Infinite, Capcom is looking to trim down the complexities of the Versus series, so Ed might be a sort of field test for the company’s other flagship fighting franchise. Although he may appear to be an up-close fighter on the surface, Ed can hold his own in the long-range game. As noted by Patrick “DaFeetLee” Lee, the upcoming character might actually excel more at zoning than rushdown. One thing that’s for sure is that Ed is rather stylish. Spab Rog posted a number of quick clips showing off some of the crazier techniques the upcoming character is capable of. These include mid-combo dashes, using Ed’s specials to pull the other player into his large V-Trigger fireball, and the ability to push opponents from one side of the screen to the other. Overall, it’s pretty hard to pin down where Ed sits, both in Street Fighter V and the community’s esteem. It typically takes weeks or even months of competition before players begin to figure out a new character, and the lack of a training mode during the recent beta made learning Ed on a foundational level difficult. Opinions will likely normalize as more time is spent with him, but at the moment, all players can do is wait until Ed’s arrival, which has yet to be nailed down with an official release date. Did you get some time with Ed this weekend? Let us know what you think of him in the comments!